European settlement of present-day Queensland followed the exploration of the Moreton Bay area in December 1823 by John Oxley, Surveyor-General of the colony of New South Wales, who had been sent north from Sydney to find a place for a convict settlement. He named the Brisbane River after the then Governor of New South Wales, and the first convicts arrived in September 1824. No free settlers were allowed within fifty miles of the penal settlement, which was finally abandoned and closed at the end of 1839. One of the few remnants of the Moreton Bay penal settlement is the old windmill at Wickham Terrace. The Brisbane area was officially declared open for free settlement in 1842, thereby providing a port for the free settlers who had already begun to open up the rich Darling Downs region to the west. The main religious denominations soon established themselves in the area: The Lutherans, who had operated a Mission at Nundah under Pastor Johannes Gossner from 1838, built a small church there in 1844. With swelling numbers as a result of further Lutheran immigration, they formed an official congregation at Nundah in 1856.1 The congregation of what is now St Andrew's Lutheran Church, Wickham Terrace, was established in 1858, building their first church in 1861. Catholicism could be said to have reached Queensland with the visit of Archbishop John Bede Polding from Sydney in May 1843, only twelve months after the colony of Moreton Bay was opened for free settlement in 1842. St Stephen's Catholic Church in Brisbane was constructed between 1848 and 1850, and is the oldest surviving church building in Queensland. The first Methodist minister to 'Moreton Bay' was appointed in 1847, though Queensland Methodists remained under the supervision of the New South Wales Conference until 1893.2 The first Albert-Street Methodist Church was opened in March 1849. It was replaced in January 1856 by a more substantial brick church in Gothic style on the same site.3 The Anglicans of Brisbane opened St John's Church in 1854, and the first All Saints' Church on Wickham Terrace was built in 1862. A group of Presbyterians, Congregationalists and Baptists who arrived in 1849 banded together initially to form the so-called 'United Evangelical Church' but soon established their own separate identities. The Creek-Street Presbyterian Church was built in 1859, although a separate (and more independent) Presbyterian congregation had already been established by the Rev. 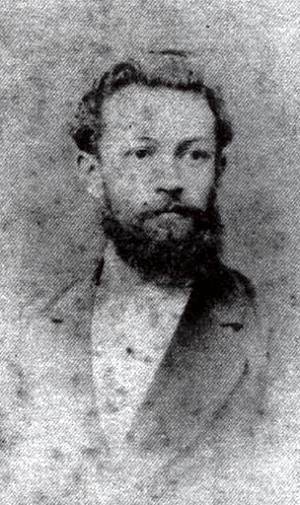 Thomas Mowbray in 1849 in South Brisbane. Some of these moved across the river to form the congregation of the Ann-Street Presbyterian Church in 1857. The Baptists from the 'United Evangelical' group became independent in 1855 and the Wharf-Street Baptist Church was built and opened by 1859, followed by the Wharf-Street Congregational Church in 1860. The first church organ to arrive in the colony was that at St Paul's Anglican Church, Ipswich, a small two-manual instrument shipped to Australia in February 1860 by J.W. Walker, London for 'Ipswich Church, Moreton Bay'.5 This was to have been followed shortly afterwards by a considerably larger one for St Mary's Catholic Church, Ipswich, but the latter instrument never materialised. During the 1860s and 1870s, several small mechanical-action organs were imported from English builders. These included one by Thomas Jennings of London for All Saints' Anglican Church, Wickham Terrace in 1864, one by T.C. Lewis of London for St John's Anglican pro-Cathedral in 1873, one by Hill & Son of London for the Wharf-Street Baptist Church in 1877-78 and one by James Cole of Manchester for the Albert-Street Methodist Church in 1878. Some builders of imported organs in this period remain anonymous. These include the one installed around 1866 at St Stephen's Presbyterian Church, Ipswich, one (possibly Irish) installed in 1873 at St Stephen's Catholic Church in Brisbane, and one advertised for sale in 1873 at the School of Arts in Brisbane. Organs continued to be imported into Queensland from the most prominent English builders, with one by Hill & Son, London, at the Creek-Street Presbyterian Church in 1882-83 and instruments by J.W. Walker, London, at St Andrew's Anglican Church, South Brisbane, in 1883-84 and St Mark's Anglican Church, Warwick, in 1884-85. The Brisbane organist, W.G. Willmore was reportedly responsible for drawing up the specifications of two organs imported from Henry Willis & Sons, London: the first in 1884 intended for the residence of the Hon. W.H. Wilson, now at the Uniting Church, Gympie, and the second in 1891-92 for the Exhibition Building, Bowen Hills, now at the Brisbane City Hall.9 Another prominent builder whose work was already represented elsewhere in Australia was Brindley & Foster of Sheffield, who provided an organ in 1884-85 for St James' Anglican Church, Townsville. Towards the end of the century, single-manual organs by the Positive Organ Co. Ltd, London, using a combination of mechanical and tubular-pneumatic action, were installed at Holy Trinity Anglican Church, Mackay, and at the Catholic Apostolic Church, South Brisbane. What is more significant, perhaps, is the number of organs imported into Queensland between 1883 and 1900 from lesser-known builders, especially from the north of England, whose work was not represented elsewhere in Australia. These include Joshua Porritt, Cole & Duckworth, James Duckworth, Richard Heslop, Alexander Young & Sons and George Benson. The earliest of these may reflect the influence of Mr James Lord, an accountant who arrived in Brisbane in 1875, and who was organist at the Albert Street (Wesleyan) Methodist Church, Brisbane. Lord was born in Burnley, Lancashire,10 and is known to have been responsible for ordering the organs by James Cole of Manchester (1878) and George Benson of Manchester (1889), installed successively in the Albert-Street Methodist Church.11 A smaller Benson organ (1888) built specifically for 'Mr James Lord, of Brisbane, Queensland, Australia' later found its way to the Surface Hill Methodist Church, Gympie.12 It is conceivable that Lord may also have influenced the purchase of the organ by James Duckworth of Manchester for the Methodist Church, Maryborough, in 1884. The Cole & Duckworth organ installed at St James' Anglican Church, Toowoomba, during the 1880s was purchased and installed by The Revd Thomas Jones, rector of the church, and has no known connection with James Lord. Another person who may have encouraged the choice of north-country builders was B.B. 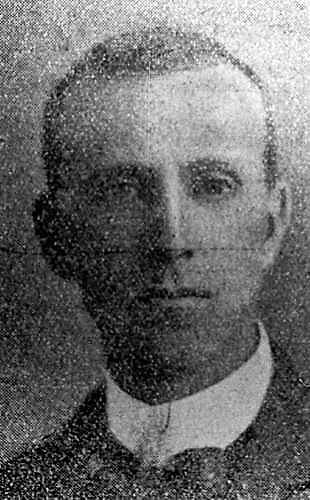 Whitehouse, who arrived in Queensland in May 1883.13 Benjamin Whitehouse's family lived and worked in the north of England,14 and it is significant that the earliest record of his work in Queensland was in 1884 with the installation of an organ by Wadsworth of Manchester at St Paul's Anglican Church, Maryborough, and the one by James Duckworth of Manchester in the Methodist Church, Maryborough. Other organs imported from north-country builders include the one by Joshua Porritt of Leicester for St Paul's Anglican Church (later Cathedral), Rockhampton, in 1883-84, and one by Alex. Young & Sons of Manchester in 1890 for St Stephen's Presbyterian Church, Maryborough. Alongside these north-country organs, one by Richard Heslop of London was installed in St Patrick's Catholic Church, Gympie, in 1898, is similarly a unique example in Australia of this builder's work. Only two organs imported into Queensland in the 1890s came from a country other than England. These were both from Germany: The first was built by G.F. Steinmeyer & Co., Germany in 1891, and imported by a Mr Süss of Woolloongabba, formerly of Bavaria, and found its way shortly afterwards to St Michael and All Angels' Anglican Church, New Farm, and the second built in 1898 by E.F. Walcker, Germany, for St John's Lutheran Church, Bundaberg. In the absence of professional organbuilders in the 1860s and 1870s, several organs imported into Queensland were installed by local organists. Particularly active in this regard was Mr Paul Atkinson, who installed the organs at All Saints' Church, Wickham Terrace, in 1864, and at St Stephen's Catholic Church in 1873. James Lord, who was organist of the Albert-Street Methodist Church, installed the organ there is 1878. For the opening of the Henry Willis & Sons organ at the Exhibition Building in December 1892, the playing was divided between four Brisbane organists: Mr W.G. Willmore, Mrs Willmore (formerly Madame Mallalieu), Mr S.G. Benson and Mr Seymour Dicker.18 Benson, Dicker and Mrs Willmore continued to give recitals on the Exhibition organ in the years following. Seymour Dicker spent roughly a decade in Brisbane, where he was organist of St John's Anglican pro-Cathedral from 1887-1897. He returned to London after a series of farewell concerts in late 1897 and early 1898.23 His successor at St John's in 1898 was George Sampson, who became the first Brisbane City Organist in 1910, holding that post until his death in 1949. The work of interstate builders was little represented in Queensland in the nineteenth century: William Davidson of Sydney added a second manual to the organ at All Saints' Anglican Church, Wickham Terrace, Brisbane, in 1874-75; but the first completely Australian-built organ in Queensland was the one built by Alfred Fuller of Melbourne around 1881 for the residence of A.H. Barlow of Ipswich, and installed in the following year at the Congregational Church, Ipswich.24 It was installed by Mr James Haldane of Brisbane,25 about whom little else is known. Only a small number of organs was imported from overseas in the first two decades of the twentieth century. Those from English builders included the organ by W.E. Richardson & Sons of Manchester for St Andrew's Presbyterian Church, Rockhampton, which was installed in 1900 by Charles Richardson, W.E. Richardson's son who had emigrated to Sydney in 1882.26 Others were the instruments by Henry Jones & Sons of South Kensington in 1901 at St Peter's Anglican Church, Gympie, and by Norman & Beard Ltd of London and Norwich in 1907 for St Luke's Anglican Church, Toowoomba. Another German-built organ by E.F. Walcker & Co. of Ludwigsburt-Württ arrived in 1911 for St Andrew's Lutheran Church, Brisbane, and the first organs imported from the United States also arrived during this period: These were the instruments by M.P. Möller of Hagerstown, Maryland, in 1902 for Christ Church Anglican Church, Bundaberg, and by the Estey Organ Co. of Brattleboro, Vt. in 1913 for St Stephen's Presbyterian Church, Toowoomba. Undoubtedly the most significant import at this time was the organ by Norman & Beard Ltd of London & Norwich (1909) for St John's Anglican Cathedral, Brisbane, which was installed and opened in 1910 in association with B.B. Whitehouse & Co. of Brisbane. The specification had been drawn up by the Cathedral organist, Mr George Sampson, although only 23 of the intended 50 stops were installed initially. Second-hand organs by anonymous builders were installed around the turn of the century at St Paul's Anglican Church, Charters Towers in 1895 and at the Baroona-Road Congregational Church, Milton in 1904. In the early years of the twentieth century, the only organs imported from interstate builders were isolated examples by Charles Richardson of Sydney at the Mowbraytown Presbyterian Church (mechanical, 1902) and the Presbyterian Church, Ann Street, Brisbane (tubular-pneumatic, 1903); by W.G. Rendall of Sydney at St Andrew's Presbyterian Church, Brisbane (tubular-pneumatic, 1905) and a second-hand instrument by William Anderson of Melbourne at St Stephen's Catholic Cathedral (mechanical, before 1921). 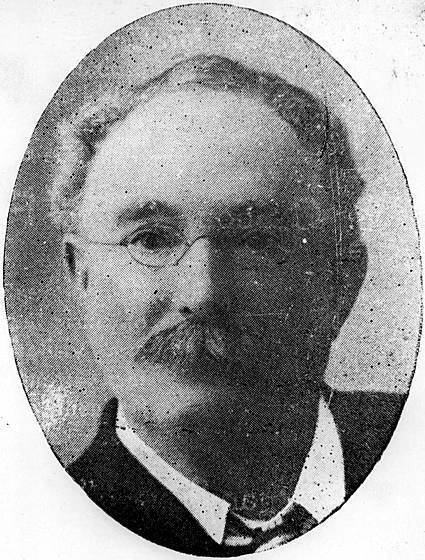 It is remarkable that George Fincham of Melbourne built no organs for Queensland, although he provided estimates between 1891 and 1903 for new organs at St Thomas' Anglican Church, Ipswich, St Paul's Anglican Church, Charters Towers, the Methodist Church, Toowoomba, and the Ann-Street Presbyterian Church, Brisbane. It is clear that, by the turn of the century, local builders were well able to dominate the Queensland market. From 1860 until the end of the nineteenth century, the vast majority of organs installed in Queensland had been imported, mostly from England. Of the various persons and firms listed by E.N. Matthews as 'organbuilders' in Queensland before the turn of the century, very few appear actually to have built organs.27 These include several who obtained pipes and materials from George Fincham of Melbourne at one time or another. Most of them must have acted as importers, installers or repairers. Thomas James Brown of Townsville corresponded with George Fincham between 1887 and 1889 concerning the purchase of a small organ or pipes for an organ. The organ photographed in Brown's residence in Townsville around 1901 is of unknown origin and appears to date from the early nineteenth century. It was possibly purchased second-hand from Charles Richardson of Sydney. An organ built by The Rev. William F. Gore before his death in 1885, and subsequently installed in All Saints' Anglican Church, Yandilla, may be included amongst the colonial organs of Queensland, although it was most probably built by Gore in England, and shipped to Australia after his death. It possibly contains material from an earlier organ at Feniton, Devon, and remains essentially intact at St John's Anglican Church, Bulimba. 'Paling, Kaye and Jefferies' appears to have been followed at 141 Queen Street by the 'Queensland Piano, Organ and Music Warehouse Company'. It was for this firm that Mr B.B. Whitehouse was working in 1884, when he installed English-built organs at the Anglican and Methodist churches in Maryborough.43 The manager of the firm was Mr John Young,44 and is was 'from designs furnished by Mr John Young' that B.B. Whitehouse built an organ in 1886. John Young's firm rebuilt and enlarged the Alfred Fuller organ at the Congregational Church, Ipswich, in 1887, but appears to have ceased operation around the middle of July 1888. It was not until August 1888 that the organ built by B.B. Whitehouse was purchased by St Thomas' Anglican Church, Toowong.45 Described erroneously at the time as 'the first organ built in this colony,' it had been preceded by T.C. Christmas's organ at Fortitude Valley. Nor was it 'entirely built' in Queensland, as was claimed at the time, for most of the pipework, keyboards, drawstops and other components were imported from George Fincham of Melbourne. Edward F. Waldron (c.1844-1889) of Fernberg Road, Paddington, Brisbane, who had worked in England for the organbuilder Nicholson of Worcester, and also for Forster & Andrews of Hull,46 contracted in February 1888 to build a pipe organ for the Wesleyan Church, Fortitude Valley.47 The organ was proudly constructed of local timbers, and only the metal pipes and ivories for the keys were imported. Around the same time, Waldron was responsible for installing the B.B. Whitehouse organ at St Thomas' Anglican Church, Toowong, but he is reported to have died of typhoid fever before the work at Fortitude Valley was finished, leaving it to be completed around 1889 by Mr T.C. Christmas.48 Edward F. Waldron was probably related to John and Francis Waldron (father and son), who were associated with the organbuilder John Nicholson of Worcester.49 Waldron's Fortitude Valley organ suffered damage due to inappropriate storage in the 1980s and 1990s. Nothing but the pipework of the original instrument has survived, and only a small proportion of this (the wooden pipes) was made by Waldron in any case. Two organs built by amateurs in the late 1890s in Queensland, both originally with cardboard pipes, appear to have been inspired by Mark Wicks' book, Organ building for Amateurs: A Practical Guide for Home-Workers (London & New York: Ward, Lock, 1887). One of these was built by Gerard Gore for the homestaed of the Gore family at Yandilla, and the other by Henry Fisher for his residence at Woolloongabba in Brisbane. From 1903, the firm was listed as 'B.B.Whitehouse & Co.' at 185 George Street,63 and this name appears on all of their organs up to 1920. 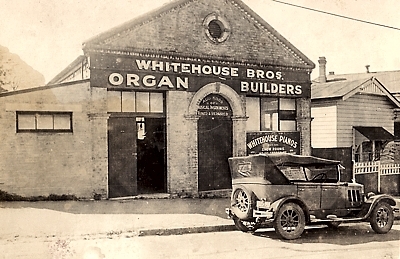 In 1921, the organbuilding part of the firm moved to a new location at Musgrave Road, Red Hill, Brisbane, and became known as 'Whitehouse Brothers'. Organs using tubular-pneumatic action had been imported into Queensland as early as 1892 (the Willis organ at the Exhibition Concert Hall, Brisbane), but the Whitehouse firm did not make extensive use of pneumatic action until 1907-08, when they virtually rebuilt W.G. Rendall's organ at St Andrew's Presbyterian Church, Creek Street, Brisbane. From about 1910 until the early 1930s, pneumatic action with cone-pallet (sliderless) chests was used exclusively in new Whitehouse organs - the only exception being that at St Stephen's Presbyterian Church, Ipswich - and continued to be used with decreasing frequency until as late as 1957. 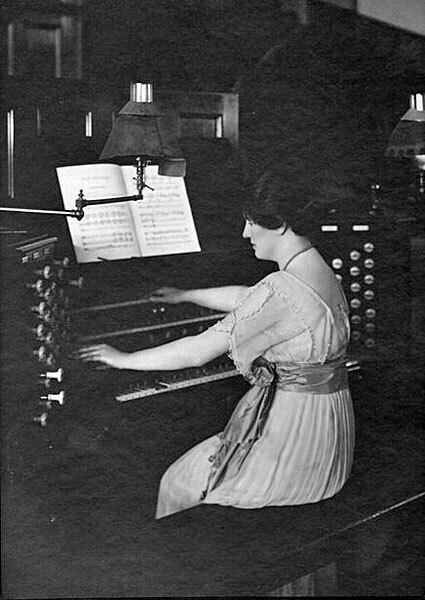 Most of the organs from this period, especially the smaller ones, were of restricted tonal design, but some of the larger pneumatic-action instruments have benefited from being placed in large and resonant buildings. Two of the finest and earliest examples fortunately survive in their original condition at St Brigid's Catholic Church, Red Hill (17 stops, 1914) and St Mary's Catholic Church, Ipswich (19 stops, 1915). Later examples of the genre, of similar size but displaying a tonal shift towards more foundation stops, were built at West End Methodist Church (19 stops, 1924) and at the Masonic Temple, Brisbane (20 stops, 1930). Whitehouse Bros would have been acquainted with the use of electro-pneumatic action in Brisbane from the mid 1920s onwards: in the Wurlitzer theatre organs installed at the Wintergarden Theatre (1924) and the Regent Theatre (1929), and in the rebuilding of the Brisbane City Hall organ (1927-29). The first use of electro-pneumatic action in organs built by Whitehouse Bros, however, was not until 1932-34, when they built several small extension organs, the first of these being for St Andrew's Presbyterian Church, Bundaberg (1932). In 1935, the firm was confidently boasting the use of electo-pneumatic action in their new organ for the Catholic Apostolic Church, South Brisbane and in their rebuiding and enlargement of the Alfred Fuller organ at the Central Congregational Church, Ipswich, but they reverted largely to the use of tubular-pneumatic action over the following two decades. Electro-pneumatic action was used increasingly in the 1950s, and direct electric action for a number of new organs after around 1960. Inspired by the expanded tonal palette of the rebuilt organ at St John's Anglican Cathedral, Brisbane, in the early 1970s, the firm began to add stops such as Mixtures and Trompettes to existing organs, although they never fully adopted the ideals of the organ reform movement. The demise of the firm in 1982, accompanied by the ill health of Kevin Whitehouse, brought to an end a family tradition in Queensland organbuilding stretching back more than three-quarters of a century. Alongside the work of the Whitehouse firm, a few amateur organbuilders in Queensland produced organs during the first half of the twentieth century. These included instruments by Charles S. Snow, Brisbane (c.1909), William J Snow, Toowoomba (c.1922), John Nebe of Coorparoo (c.1923 and c.1944), E.J. Peel of South Brisbane (1934), and Noel Ferguson, Cairns (1951). Walter Emerson, a Toowoomba organist, built several organs between 1964 and his death in 1986, mainly in Toowoomba. The first originally used tubular-pneumatic action and was intended for his own home, but it was later installed at St Paul's Anglican Church, Stanthorpe. Other instruments built by Emerson include the one at the Baillie Henderson Hospital, Toowoomba, which was built in 1968 with the assistance of psychiatric patients at the hospital as an exercise in occupational therapy, the one at Concordia Lutheran College Chapel, Toowoomba, in 1972, and his last organ at Peace Lutheran Church, Gatton, in 1980. Emerson's instruments generally showed greater attention to the development of complete choruses than was evident elsewhere in Queensland at the time. Noel Ferguson, an optometrist, carried out work in Cairns and Townsville in the 1950s. In 1951 he completed an extension organ for his residence in Cairns, and around 1956 he enlarged the Whitehouse organ at the Methodist Church, Cairns, where he was organist. 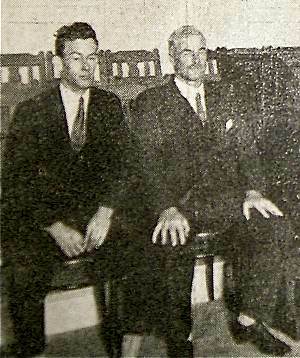 Ferguson's rebuilding of the Brindley & Foster organ at St James' Anglican Cathedral, Townsville, in 1958 was problematic. 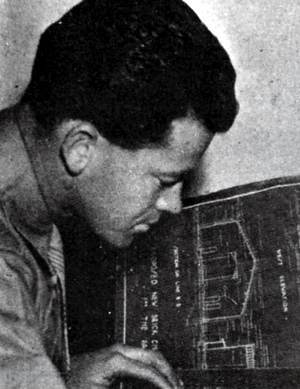 John Hamer-Howorth (1913-1988), an Anglican clergyman who retired in Toowoomba, and formerly a stained-glass artist in England for twenty years, had worked for a year as a draftsman at Henry Willis & Sons, London.71 He built small organs in Queensland at St Andrew's Anglican Church, Caloundra (1967-73), St Alban's Anglican Church, Auchenflower (1971-72) and St David's Presbyterian Church, Toowoomba (1977). They all used a combination of mechanical and pneumatic action, and mostly second-hand pipework. His last organ was at St John's College, Morpeth, NSW, in 1983.72 The Caloundra and Toowoomba organs have since been removed and broken up. Apart from the isolated examples already mentioned, the work of interstate builders was little represented in Queensland until 1969-72. At this time, two Melbourne firms carried out a number of rebuilding contracts in Brisbane. One of these was Laurie Pipe Organs Pty Ltd, who rebuilt the 1884 J.W. Walker & Sons instrument at St Andrew's Anglican Church, South Brisbane, in 1970. The most significant and influential work by interstate builders, however, was that by Hill, Norman & Beard (Australia) Pty Ltd of the 1909 Norman & Beard organ at St John's Anglican Cathedral in 1972. Here, a fine though incomplete example of Edwardian organbuilding was enlarged and transformed, by lowering of pressures and revoicing, into a modern eclectic organ in the style favoured at the time. The ideals represented in this rebuild can now be seen as a product of their era, but they undoubtedly marked a significant step forward for the organ in Queensland at a time when there were no modern mechanical-action organs in the State, and very few instruments on which much of the legitimate organ repertory could be played convincingly. The firm of J.W. Walker & Sons (Australia) Pty Ltd operated a branch in Brisbane between 1983 and 1985, following the award of contracts to rebuild the organs in St Andrew's Uniting Church, Brisbane and the Albert Street Uniting Church, Brisbane.73 Both rebuilds had been commenced by Whitehouse Bros before that firm ceased operation in 1982. Following policy decisions by the parent firm, J.W. Walker & Sons in England, to concentrate only on the manufacture of mechanical-action organs, the Australian branches were closed in 1985.74 David Hudd, who had operated the Brisbane branch, continued independently in Brisbane until 1987, when he moved to Melbourne to work for George Fincham & Sons. His business interests in Brisbane were formally taken over in 1988 by W.J. Simon Pierce. The organ reform movement (Orgelbewegung), which began in Europe early in the twentieth century, could be said finally to have reached Queensland in the mid 1970s. By 1974 Roger H. Pogson of Sydney had commenced the design for the 45-stop concert organ that was opened at Mayne Hall, University of Queensland, in 1976. Meanwhile, 1975 marked the arrival of a small mechanical-action organ, albeit second-hand, at the Methodist Church, Toowong. Following these, mechanical-action organs were built by Pogson for the Anglican Church Grammar School, East Brisbane, in 1980 and for Marist College, Ashgrove, in 1986. Others built for educational institutions include those by P.D. Collins of St Alban's, UK, for the Queensland Conservatorium of Music in 1980, a practice organ installed in 1981 at the Department of Music, University of Queensland, and one by J.W. Walker & Sons, UK, for St Hilda's Anglican Girls' School, Southport, in 1986. 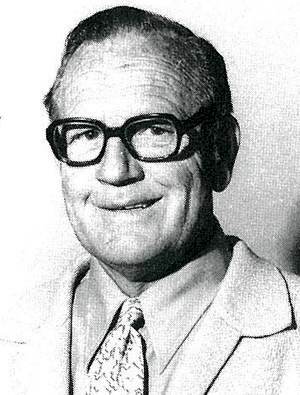 The first organ in Queensland by Knud Smenge of Melbourne was for St Peter's Lutheran Church, Beenleigh, in 1983. He subsequently provided larger instruments for St Andrew's Lutheran Church, Brisbane (1990) and St Stephen's Catholic Cathedral, Brisbane (2000). The latter was unusual for Smenge in that it used entirely electric action. The installation of the large concert organ by Johannes Klais of Bonn, W. Germany, in the Queensland Performing Arts Centre in 1985-87 may be said to have placed Brisbane in the mainstream of concert organ venues in the world. A 16-stop mechanical action organ by Kenneth Tickell & Co., Northampton, UK, installed in 2011 at St John's College, University of Queensland, is the first substantial example of this builder's work in Australia. Pierce has built several small mechanical-action organs, the first being for St George's Anglican Church, Tamborine Mountain in 1993. Subsequent small instruments were constructed for Dr Peter Roennfeldt in 1996 and for the 'Pugin Chapel', St Stephen's Old Cathedral, Brisbane, in 1998. 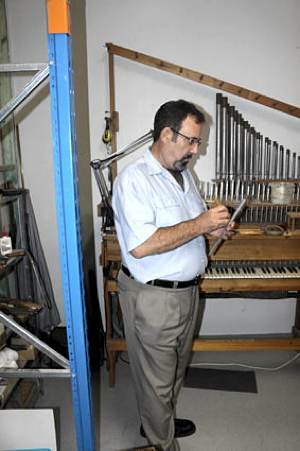 In 2002 Pierce acquired the pipe-making equipment of the Fincham firm in Melbourne, and his notable new instrument for Nazareth Lutheran Church, Woolloongabba (2002-05) embraced the discipline of making all parts of the organ, including action, pipes and keyboards, rather than using imported components. It is noticably north-German in style, using suspended mechanical action and slightly flexible winding. Elsewhere, Pierce's work has paid respect to the aesthetic of English builders, notably his organ for All Saints' Anglican Church, Brisbane, in 2007, which incorporates pipework by T.C. Lewis. A mixed picture is revealed when examining the various paths that have been followed in Queensland since the 1970s in dealing with old and/or redundant organs. Of the instruments imported into Queensland in the nineteenth century that have survived to this day, not many have withstood the threat of modernisation through electrification and enlargement, although a few examples of English nineteenth-century organs are still to be found in their original state at St Peter's Anglican Church, Gympie, Surface Hill Uniting Church, Gympie, St Patrick's Catholic Church, Gympie, and Sacred Heart Catholic Church, Rosalie. The James Cole instrument at St Thomas' Anglican Church, North Ipswich, remains a prime candidate for restoration. The practice of rebuilding and 'modernising' organs was considered normal in the 1950s and 1960s. It was not considered inappropriate in 1957, for example, to rebuild and electrify the 1873 tracker-action organ by T.C. Lewis at All Saints' Anglican Church, Brisbane, or in 1962 to electrify the 1884 tracker-action organ by Henry Willis & Sons at St Andrew's Presbyterian Church, Gympie. In the latter case, the original chests were retained, but when the 1873 Hill & Son organ at St Paul's Presbyterian Church, Brisbane, was electrified in 1963, the original slider chests were replaced by cone-palet chests. Even as late as 1983, an instrument by James Duckworth of Manchester that had survived in its original condition with mechanical action in Maryborough was rebuilt with electric action at SS Peter and Paul Catholic Church, Bulimba. Alongside tracker-action organs that have been electrified, the number of pneumatic-action organs that were electrified in Queensland through the 1970s and 1980s may now appear alarming. The ideals of restoration of older instruments with a respect for the integrity of their original design have gradually become more evident. By the 1980s attitudes appeared to have changed for the better: Of considerable significance was the restoration in 1983 by Messrs Brown & Arkley of Sydney of the Anderson organ at St Stephen's Cathedral, Brisbane, retaining mechanical action. The local builders H.W. Jarrott, David Hudd, and W.J. Simon Pierce have all been involved in the sympathetic restoration of organs in Queensland, including several with mechanical action. Pierce's restorations of mechanical-action instruments include the B.B. Whitehouse & Co. organs at Wesley Uniting Church, Kangaroo Point, All Hallows' Convent, Brisbane, and St Mary's Catholic Church, Maryborough, and the George Benson organ at Surface Hill Uniting Church, Gympie. Tubular-pneumatic organs he has restored include the Charles Richardson organ at the Presbyterian Church, Ann Street, Brisbane, and the B.B. Whitehouse & Co. instruments at St Brigid's Catholic Church, Red Hill, and St Mary's Catholic Church, Ipswich. The most significant restoration by Pierce in recent years has undoubtedly been that of the Henry Willis & Sons organ in the Brisbane City Hall in 2010-14. Since the latter decades of the twentieth century there has been an increase in the number of pipe organs becoming redundant. This has resulted partly from the rationalisation of church buildings following the formation of the Uniting Church in Australia in 1977, and also partly from changing styles of worship. In some instances, such as that of the Presbyterian Church, Fortitude Valley, new homes have been found for redundant instruments, but significant instruments such as those at the Empire Church Theatre, Toowoomba and St Andrew's Presbyterian Church, Rockhampton, remain abandoned and unused. A new home is still being sought for the 1899 Whitehouse & Marlor instrument, currently in storage, originally at the Wharf-street Congregational Church. It is to be hoped that the intrinsic worth of older organs in Queensland (including those of the local builders) will be recognised increasingly, and that the best examples will be preserved for posterity, rather than fall victim to the practice of perpetual rebuilding and modernisation. In this way, a wide spectrum of the repertory will be playable on instruments that involve a minimum of compromise in their design, and organ music in Queensland will be well served. 1 Joyce Graetz, An Open Book: The Story of the Distribution and Production of Christian Literature by Lutherans in Australia (Adelaide: Lutheran Publishing House, 1988), p. 14. 2 R.S.C. Dingle, Annals of Achievement: A Review of Queensland Methodism, 1847-1947 (Brisbane: Queensland Book Depot, 1947), pp. 21, 32, 44, 166. 3 E.J.T. Barton, ed. Jubilee History of Queensland: A Record of Political, Industrial and Social Development, from the Landing of the First Explorers to the Close of 1909 (Brisbane: H. J. Diddams, [c.1910]), p. 141. 4 Geoffrey Cox, 'W.A. Duncan and the Moreton Bay Settlement: New Evidence for the Earliest Pipe Organ in Queensland?' OHTA News, vol. 33, no. 4 (October 2009), pp. 24-29. 5 J.W. Walker Ledger Book AA (1852-62), p. 368; The Church Standard (14 June 1929), p. 665. 6 Geoffrey Cox, 'An Organ by H.C. Lincoln in Australia,' The Organ, vol. 55, no. 217 (1976-77), pp. 18-23; subsequent correspondence in BIOS Journal, vol. 2 (1978), p. 134. 7 See: St Patrick's Catholic Church, Fortitude Valley. 8 Geoffrey Cox, 'B.B. Whitehouse and the First Organ Built in Queensland,' OHTA News, vol. 35, no. 1 (January 2011), pp 19-24. 9 Geoffrey Cox, 'The Willis Organ at the Exhibition Concert Hall in Brisbane: The Finest in the City,' OHTA News, vol. 34, no. 4 (October 2010), pp. 17-28. 10 W. Frederic Morrison, The Aldine History of Queensland (Sydney: Aldine, 1888), vol. 2, Appendix, p. 220. 11 The Queensland Evangelical Standard (16 November 1878); The Daily Mail (Brisbane, 10 March 1906), p. 9. 12 The Musical Opinion & Music Trade Review, vol. 11, no. 130 (1 July 1888), p. 454. 13 Queensland State Archives, cited in Graeme D. Rushworth, Historic Organs of New South Wales: The Instruments, Their Makers and Players, 1791-1940 (Sydney: Hale & Iremonger, 1988), p. 203. 14 Rushworth, Historic Organs, op. cit., p. 203. 15 The Brisbane Courier (31 July 1883) and (1 August 1883). 16 Betty Crouchley, 'Willmore, Henrietta (1842 –1938),' Australian Dictionary of Biography, vol. 12 (Melbourne University Press, 1990), pp. 513-14. 17 The Brisbane Courier (19 April 1888), p. 5; The Brisbane Courier (30 April 1888), p. 5; The Brisbane Courier (28 June 1888), p. 2; The Brisbane Courier (4 July 1888), p. 5; The Brisbane Courier (11 August 1888), p. 2; The Brisbane Courier (11, 14 & 16 August 1888), p. 2; The Brisbane Courier (17 August 1888), p. 6; The Brisbane Courier (27 September 1888), p. 6; The Brisbane Courier (13 November 1888), p. 5. 18 Geoffrey Cox, 'The Willis Organ at the Exhibition Concert Hall in Brisbane,' op. cit. 19 Diocese of North Queensland, 'Diocesan Diary for 1885,' p. 9 (22 April, 1885); Diocese of North Queensland, The Monthly Record of Church Work (25 April, 1885), p. 8; The Brisbane Courier (24 April 1885), p. 5; The Daily Mail (10 March 1906), p. 9. 20 The Queenslander (30 March 1889), p. 600; The Brisbane Courier (8 April 1889), p. 7; The Brisbane Courier (10 April 1889), p. 4; The Brisbane Courier (4 May 1889), p. 3; The Brisbane Courier (18 December 1889), p. 5; The Brisbane Courier (1 December 1891), p. 4. 21 The Brisbane Courier (9 May 1892), p. 4; The Brisbane Courier (28 May 1892), p. 5; The Daily Mail (10 March 1906), p. 9. 22 Records of St Andrew's Church, Creek Street, Brisbane; The Brisbane Courier (9 May 1925), p. 19. 23 Dictionary of Organs and Organists, 2nd edn (London: Geo. Aug. Mate, 1921), p. 333; Robert K. Boughen, 'An Account of the Music at St John's Cathedral, Brisbane, from 1843-1887' (M.Mus. qual. thesis, University of Queensland, 1974); The Brisbane Courier (7 October 1897), p. 2; The Brisbane Courier (17 March 1898), p. 4; The Brisbane Courier (19 March 1898), p. 2. 24 Geoffrey Cox, 'Documenting Alfred Fuller in Queensland,' OHTA News, vol. 30, no. 1 (January 2006), pp 18-21. 25 The Queensland Times (26 August 1882), p. 3. 26 Rushworth, Historic Organs, op. cit., p. 122. 27 Matthews, op. cit, p. 229. 28 W. Frederic Morrison, The Aldine History of Queensland (Sydney: Aldine, 1888), II, Appendix, p. 262; Queensland Post Office Directory (1878 -1887). 29 Loc. cit., II, Appendix, p. 218. 30 George Fincham Letter Book 1873-1878, p. 16 (9th March 1877). 31 Minutes of the Easter meeting 1879 (for the year 1878-79), reproduced in Mark Norton, The "Trinity Chronicles": A History of the Anglican Parish of Holy Trinity, Woolloongabba, Q. (privately printed, ), pp. 2-5. 32 Annual Report of St Mark's Anglican Church, Warwick (15 April 1884), cited by Miss M. Stay, organist at St Mark's, in personal communication to G. Cox, 2 June 1974. 33 George Fincham Letter Book 4, pp. 347, 362 (14 Oct 1885 & 2 Nov 1885); George Fincham Specification Book 13, pp. 306-12 (14 October 1885). 34 Letters from W. H. Paling & Co. to George Down, 13 September & 7 October 1887; copied in 1937 from the archives of the Fortitude Valley Methodist Church by Edward R. Salisbury, and supplied to G. Cox in July 1974; reproduced as Appendices D, E and G in Salisbury, A brief history of the pipe organ in the former Valley Methodist Church, Brisbane (Brisbane: privately printed, 1982). 35 Rushworth, Historic Organs, op. cit., pp. 331-32. 36 Graeme Rushworth, A Supplement to Historic Organs of New South Wales: The Instruments, Their Makers and Players, 1791-1940 (Organ Historical Trust of Australia, 2006), pp. 102-04. 37 Sands & McDougall Directory (1877), p. 231. 38 The Brisbane Courier (19 April 1893), p. 2 & (17 July 1893), p. 4. 39 The Queensland [Wise's] Official Directory 1896-97. 40 The Brisbane Courier (4 December 1882), p. 5. 41 Minutes of the Parochial Council Meeting, Holy Trinity Church, Fortitude Valley (February 1896), cited in Charles Clark & Geoffrey Cox, 'The Organs of Holy Trinity Church, Fortitude Valley, 1874-1974,' Organ Society of Queensland Newsletter, vol. 1, no. 2 (May 1974), pp. 2-4. 42 Rushworth, A Supplement, op. cit., p. 104. 43 Inscription inside the Swell Box of the Maryborough Methodist organ, cited by H.W. Jarrott. 44 The Brisbane Courier (12 March 1888), p. 2. 45 The Brisbane Courier (7 January 1887), p. 6; The Brisbane Courier (14 July 1888), p. 2; The Brisbane Courier (18 August 1888), p. 6. 46 The Brisbane Courier (28 September 1888), p. 6; Waldron's Indenture of Apprenticeship is reproduced in OHTA News, vol. 2, no. 4 (October 1978), p. 13. 47 Waldron's contract supplied by E.R. Salisbury (organist of this church 1935-42). 48 Information supplied by E.R. Salisbury from interview (c.1937) with Mr Hall of Podmore & Hall, who built the bottom octave of the Open Diapason. 49 Pers. Comm (July 1995) from Jim Berrow, Birmingham, UK, from a draft of his thesis 'The Life and Work of John Nicholson, Worcester Organ Builder' (University of Reading). 50 Geoffrey Cox, 'Alfred Cobby (c.1818-1905): Organbuilder, Teacher of Music & Composer,' OHTA News, vol. 37, no. 2 (April 2013), pp. 19-28. 51 Queensland State Archives, cited in Graeme D. Rushworth, Historic Organs, op. cit., p. 203. 52 Inscription reported by H.W. Jarrott. 53 The Brisbane Courier (12 March 1888), p. 2. 54 The Brisbane Courier (18 August 1888), p. 6. 55 Letter dated 1904, sent to Albert Street Methodist Church, supplied by W.J. Simon Pierce. 56 The Brisbane Courier (27 August 1891), p. 4. 57 The Brisbane Courier (30 August 1894). p. 4; (31 August 1894), p. 5. 58 Minutes of Parochial Council Meeting, Holy Trinity Church, Fortitude Valley (4 February 1896). 59 Queensland State Archives, cited in Graeme D. Rushworth, Historic Organs, op. cit., p. 203. 60 Personal communication to G. Cox from Joe H. Whitehouse, c.1973. 61 Queensland Post Office Directory (1897-1902). 62 City Congregational Church records, cited by David G. Vann; The Brisbane Courier (16 March 1899). 63 Queensland Post Office Directory (1903 ff). 64 David Vann, 'Vale – Kevin Whitehouse,' Organ Australia, vol. 2, no 2 (June 2007), p. 5. 65 The Courier-Mail (Brisbane, 1 July 1953), p. 5; The Advocate (Nth Tasmania, 6 March 1954). 66 The Telegraph (Brisbane, 8 July 1929), p. 16. 67 Geoffrey Cox, 'Whitehouse Trackers: Reviewing the Opus List and Re-writing History,' OHTA News, vol. 35, no. 4 (October 2011), pp. 24-31. 68 Organ Society of Queensland Newsletter, vol. 16, no. 5 (April 1989), p. 9; vol. 17, no. 1 (August 1989), pp. 6, 11, 17. 69 Personal communications to G. Cox from John Spall to Geoffrey Cox, c.1973, and from Charles Dirksen, 28 October 1975. 70 Geoffrey Cox, 'Some Recent Mechanical-Action Restorations in Queensland,' Organ Society of Queensland Newsletter, vol. 16, no. 1 (August 1988), pp. 9-16. 71 Personal communication to G. Cox from J. Hamer-Howorth, December 1972. 72 Sydney Organ Journal, vol. 14, no. 4 (August/September 1983), pp. 24-27; see also Organ Society of Queensland Newsletter, vol. 16, no. 4 (February 1989), p. 29. 73 Sydney Organ Journal, vol. 14, no. 1 (February/March 1983), p. 6. 74 Sydney Organ Journal, vol. 16, no. 4 (August/September 1985), p. 13. 75 OHTA News, vol. 25, no. 4 (October 2001), p. 14; The Organ Voice, vol. 28, no. 1 (March 2002), p. 29; The Sydney Organ Journal, vol. 33, no. 3 (Winter 2002), p. 23; Jarrott details from personal communication to G. Cox from Simon Pierce, November 2011.